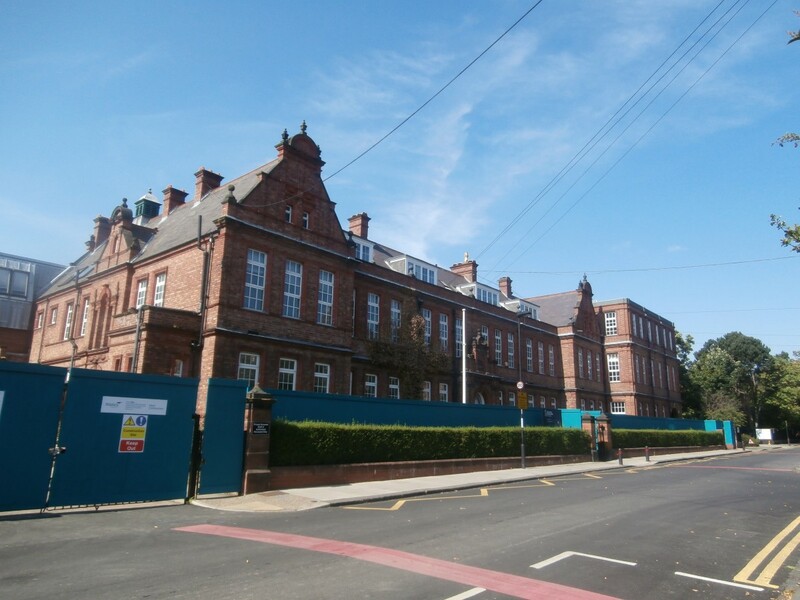 In late August, just prior to the start of Newcastle High School for Girls’ second year still housed in the old Central High buildings, Wates Construction, having recently been awarded the contract for the NHSG new build, took possession of the old Church High site on Tankerville Terrace. The Project Manager is Nick White, formerly of Shepherd Construction who I met for the first time on 21st August. 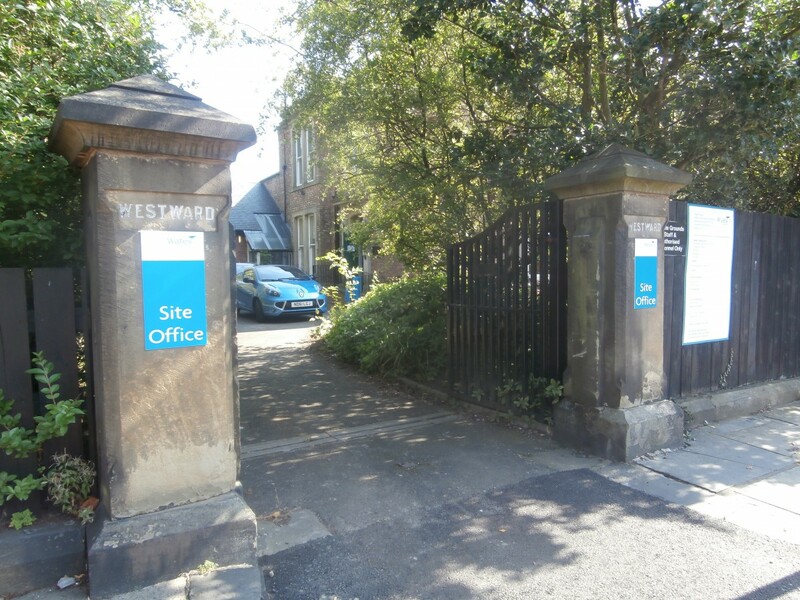 A site office was immediately established in leafy Westward House, previously the home of Church High School’s School of Music. 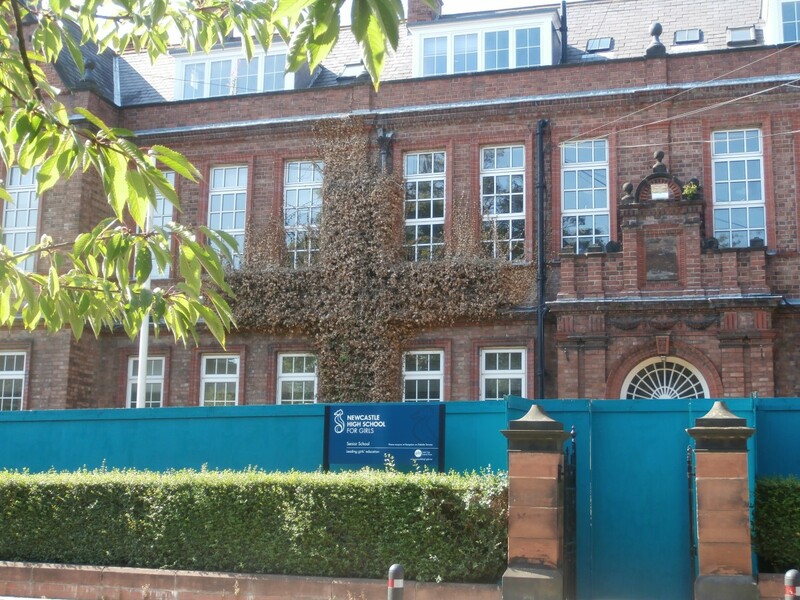 Work started immediately on securing the site by erecting tall wooden hoardings along the whole length of the main building. 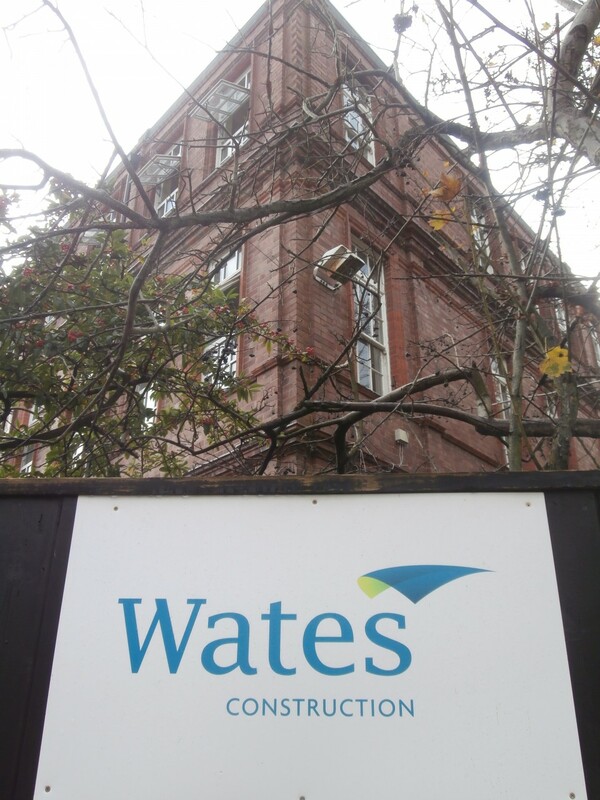 It has to be said, however, that if the beautiful Victorian frontage must be partly-obscured from view until the building work is completed in Summer 2016, then it is just as well that the Wates’ brand colours of lime-green and teal- blue are the NHSG colours too!